In Where Others Won’t, I introduce the concept of contextual leadership and argue that leaders must adapt to the needs of their team if the team stands any chances of thriving. There is no greater example of this than Bill Belichick during his tenure with the New England Patriots. Among all the accolades and Super Bowl wins, the thing that stands out the most to me is Belichick’s willingness to morph the team’s game style to suit the unique talents of the roster. Many people forget (or just don’t know) that the Patriots have not always been an offensive juggernaut. 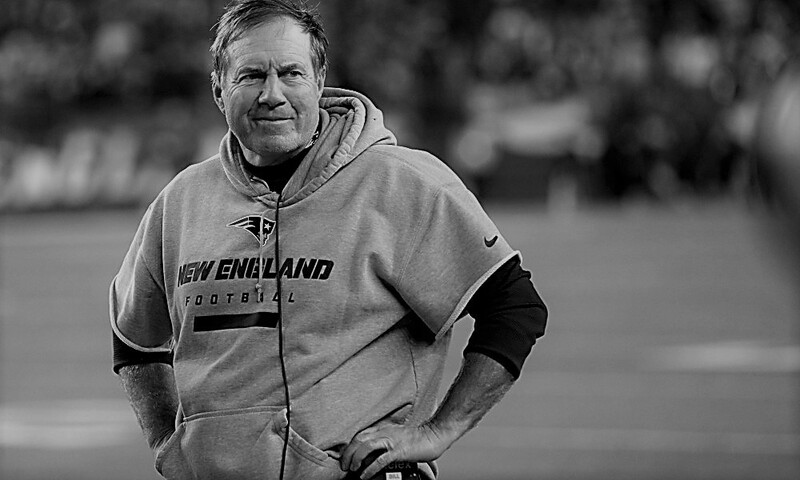 In his 43 years in the NFL, Belichick has spent one season in a purely offensive role — in 1977 with the Detroit Lions. He is a defensive coach, and the Patriots’ first 3 Super Bowls were won with a rugged defense and cautious offense. In the early days, Brady rarely threw the ball. 2001: A run-heavy offense that allowed the defense to win games. 2003: The defense was #1 in points allowed. One receiver topped 550 yards. 2004: The first evolution of the power run game. Brady 22nd in the league in pass attempts. 2005: Became pass-first, with Brady now 2nd in the league in pass attempts. 2007: Spread offense = 50 touchdowns. 2010: The 2 tight end offense changed football. 2012: The up-tempo style of offense became popular. Pats lead league in offense. 2013: Passing problems meant LeGarrette Blount led four running backs in the power run game once again. 2014: The slowdown offense bored teams into submission. Brady had 39 drives over 10 plays. 2017: Back to the top of nearly all of the passing stats. Many business leaders (most, in fact) require their teams to adapt to their way of leadership, and set about building a team who can execute the gameplan the way they like it. The thing is, it’s way more effective for you to adapt to them rather than for them to adapt to you. If Bill Belichick led using his default methodology, the Patriots would be a defensive, run-first team and would rarely utilize the MVP talent that Brady possesses. Instead, the Patriots have built an entire franchise around recruiting people with special talents and putting them into more scenarios that allow them to use their best skills. Ask your team members what their unique skills are and then allow them to use them to advance the success of your team. It doesn’t matter if they’re outside the job description, in fact, it’s often better that they’re not. That’s where innovation comes from. Extra Tip: This may be a missing link to engaging the Millennial generation, who want to be able to use their best skills, but often aren’t allowed to (or their bosses don’t even bother to ask what their best skills are).